2016-17 - Literacy Volunteers of America, Essex & Passaic Counties, NJ Inc.
As a news reporter and freelance writer for decades, Ellen Rooney Martin has seen it all, and covered it too, from Chicago’s hardscrabble politics to a Midwest earthquake, to feature stories on business and trade, food and health. Yet she’s found it new and exciting to meet and help adult learners from all over the world, among them her students from Nepal, Bangladesh, and other countries, she said. 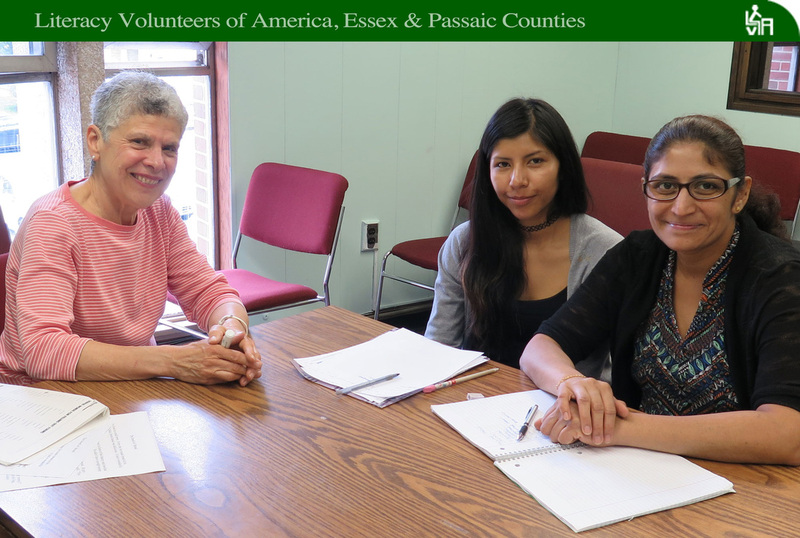 Ellen learned of Literacy Volunteers of America, Essex & Passaic Counties, one year and a half ago through a listing posted online by the Montclair Public Library. She signed up for a tutor-training workshop right away. Ellen’s start with her very first LVA student was a bit unusual. Upon her student’s arrival, one by one, the student’s family members started trailing in. Ellen remembers, “I was a little overwhelmed because tutoring was all new to me.” She quickly took hold of the situation and shortly found herself working with only her student. During the past year and a half that Ellen has been an LVA tutor, she has worked with a steady roster of ESOL students. Her friendly smile and gentle spirit are enough to put even the most timid learner at ease. “My personality type needs a lot of new things,” Ellen stated. Along with tutoring, her other interests are cooking for her family, writing, and exercise. Ellen has three young adult sons who enjoy her efforts in the kitchen. “I enjoy experimenting with new recipes,” she said. “My boys would like it to be steak every night, but that is not an option,” she was quick to add. To combine her interests in food and exercise, Ellen currently works as a freelance writer for Healthline.com. 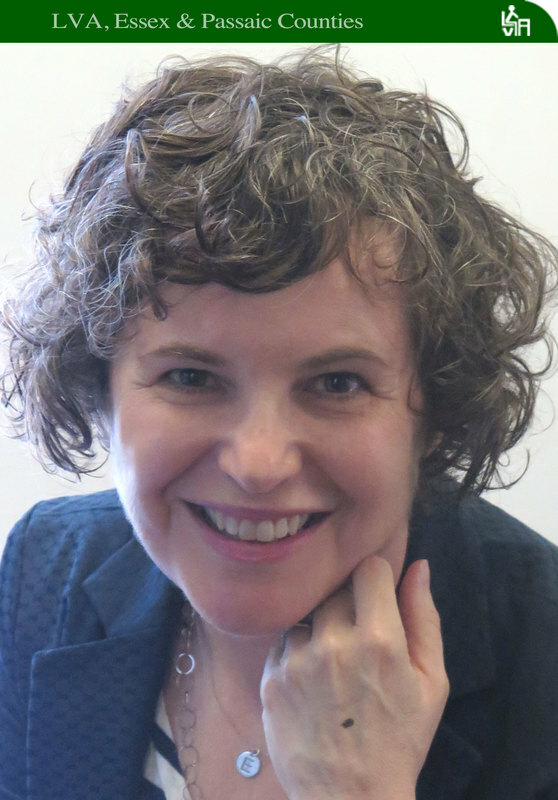 Her work has also appeared in The Chicago Tribune, LA Times and Parenting Magazine. These ethics carry over into his tutoring. Paul can be counted on to be at the Bloomfield Library every Thursday morning with his faithful group of dedicated students. It is hard to believe that Paul came to Literacy Volunteers of America as a novice. “I never taught before,” he said. “I saw the notice in the newspaper and thought it might be something I would like to do. I went to the training program and the trainer said, ‘Look, don’t be worried. You can do it.’ I have been here almost a year now and I think I got as much out of the lessons as my students. They have come along quite well,” Paul added. Paul is as conscientious about learning as he is teaching. He is a return student in Montclair State University’s OLA (older learning adults) program, a reduced tuition program for NJ residents 65 years and older who have lived in state for 5 years or more. Paul’s humanitarian nature can be easily summed up. “I worked my whole life and felt there has to be more than just being employed. While it was important and provided a decent living for me and my family, I knew I wanted to do more. You want to leave some kind of legacy like maybe that you have helped someone along the way,” Paul said. If it’s true that the themes that run through one’s life best reflect the values they treasure most, then there are several that reveal much about tutor Robin Furrey. She was barely 16 when she hopped in a car with a cousin and a friend for a 3,400-mile drive and camping trip from her New Jersey home to Alaska in a Pontiac Le Mans. Six years later she found herself in rural Guatemala, a Peace Corps member with a forestry degree bent on teaching indigenous villagers how to reforest land in support of a potable water project. Then, after a career change landed her a position as a computer programmer in a Bloomfield petrochemical engineering firm, she volunteered for an 8-year assignment to Venezuela. Unfortunately, it was called off 13 months later by a collapse in oil prices. So is it any surprise that, in retirement, a world traveler with a penchant for helping others would join an organization that’s helped adults from more than 100 countries learn English? Fast forward to 1979 upon her return from her Peace Corps adventure to Guatemala. Robin found herself back in suburbia, living at her parent’s house and looking through the classifieds for a job. This marked a new adventure in Robin’s life. Robin met her soon to be husband and life long companion. Robin interviewed for a position as a computer programmer. The senior executive put her information in the “reject” pile. However, when he saw how well she had scored on the test, he ran out into the parking lot and said, “Where is that girl?” “That girl” came back into the office, was interviewed by Ted (future husband) who was impressed with her qualifications and her Peace Corps background. He hired her in October, they went on their first date in April and by August they were married. Although Robin’s life has taken many strange twists and turns along the way, for this Peace Corps volunteer turned computer programmer and mother of three, it has always been an adventure. Another trip Ted vividly remembers came 11 years later. After studying computer programming, he took a job in the IT department of a Bloomfield engineering firm. In 1982, he and his wife, Robin, another programmer with the firm and now an LVA tutor, volunteered for a long overseas assignment in Venezuela. While traveling to a conference on the Venezuelan coast, Ted mistakenly drove through a police checkpoint on a darkening rainforest road and was pulled over. Robin remained in the car as machine-gun toting police took Ted to a hut in the bush. They accused him of speeding, failure to stop, and demanded that he pay hundreds of dollars in cash or give up his car. As Ted struggled to negotiate in Spanish, a Colombian co-worker enroute to the same conference pulled up and helped interpret. The fine was reduced from $700 to $70. Ted later worked in IT departments on Wall Street. He’s retired and today his adventures are more than likely to come from marathon bicycle rides with friends. And the English major-turned programmer, who once did a stint as a Paterson substitute teacher, never lost his love of language. Painter, poet, and constant reader Margaret Valentine brings her widely diverse background to LVA. 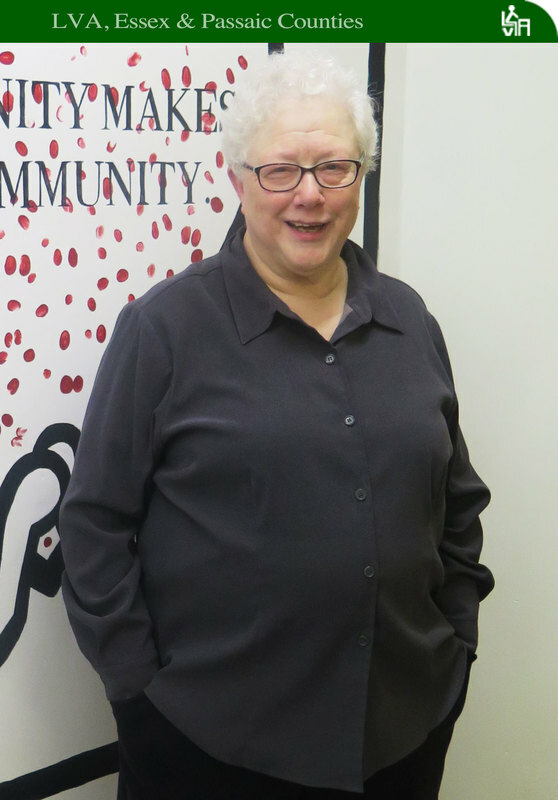 Now retired, this former English teacher and administrator of 30 years joined LVA in October of 2014 and has helped a variety of students ever since. Margaret’s trade secret to working with her students is lots of positive reinforcement. “Tell them how great they are,” she said, “be honest and be specific. They need to understand exactly what it is they are doing well. Where they start and where they finish is not as important as their enthusiasm and dedication in between.” Margaret says to her current student, “You are a teacher’s dream. You don’t get discouraged.” Those words become a self -fulfilling prophecy. Working to her student’s needs, Margaret selects material of special interest to the student. “We find books together that my student really wants to read. I ask that she read for ½ hour everyday, and then write down a response to that particular reading.” Margaret uses other techniques to develop reading skills such as modeled reading and Bananagram to encourage vocabulary and spelling. Margaret’s student has not given up on her dream of being to able to read (with ease) the books and magazines she wants to read. It’s a dream Margaret deeply understands as reading is one of her favorite ways of being in the world. “My head lives in books,” she said. Favorite reads include literary fiction such as Toni Morrison’s ‘Beloved’ and George Elliot’s ‘Middlemarch.’” When she is not reading other’s words, Margaret writes her own. A prolific poet, she is a 19 year member of an established poetry group. Margaret ran poetry workshops for teachers for years based on the Dodge Poetry model. In a nutshell, this is an appreciative model where you read, re-read and discuss poems. Margaret has an ongoing association with other arts as well. She is a watercolor artist. Margaret enjoys painting still life and especially favors the work of John Singer Sargeant and Henri Mattisse. Margaret also has a personal commitment to theater arts as well. With great enthusiasm, this talented grandmother of four also finds time to attend her grandchildren’s various stage productions. Along with her love of the arts, Margaret enjoys corresponding with her former students. She told of one case, in which a former student sent her a link to a New York Times story, one that showed a photo of the student descending a flight of stairs. The building was the U.S. Supreme Court. “I love hearing about my former students’ lives,” she said. A lover of the English language, when David is not holding a book, he is holding a camera. David has photographed celebrities such as Matthew Broderick, Sarah Jessica Parker, and Kenneth Lonergan (most recently of Manchester-by-the-Sea fame) just to name a few. He has also photographed New York notables to include the late Ed Koch and David Dinkins. When asked where he attended school to hone his craft, David replied, “When? I had a very dilatory career and was in and out of school. When I wasn’t in school, I was working. I had a different job every eight months. I was having success as a photographer before I went back to school.” David attended Fordham University and graduated with honors. 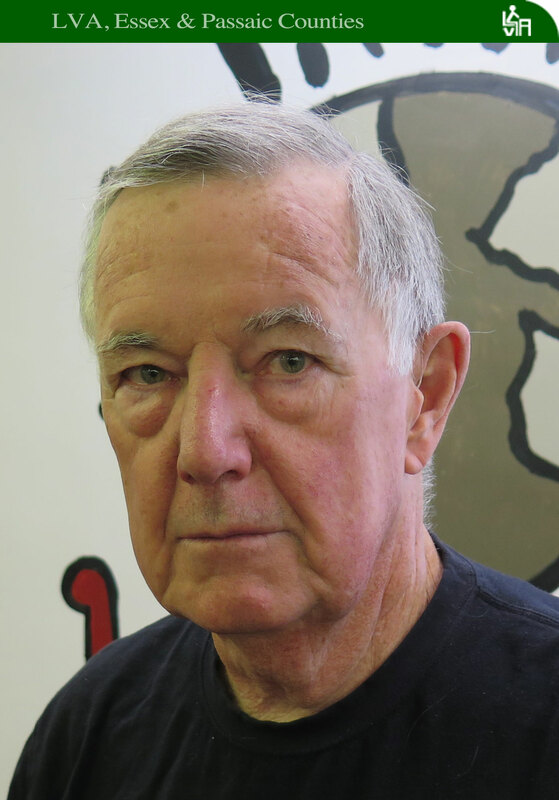 Larry Reilly’s face lights up when he talks about libretto and literacy. An avid opera fan, Larry has been a subscriber to the Met for over 30 years. He sometimes incorporates opera into his tutoring sessions with his LVA students. Larry not only teaches ESOL, but cultural literacy as well. He prepares his students well to fit into life in the United States. Larry is a quiet presence at the Bloomfield Library. He diligently walks in with his brief case, flashes a friendly smile, and then quickly gets down to business with his student who he tutors 16 hours per month. They are a well-matched pair. Larry is a giving tutor and his student is a willing learner. “Humanitarian” adequately describes Larry. He is active on the board of COPE (Counseling Outreach Prevention Education) in Montclair, which provides counseling for young adults with substance abuse and mental health issues. Currently Larry is working with them on developing a strategic plan as to how they can better serve their clients. A self-described “inveterate reader,” Larry is drawn toward biographies of public-spirited individuals. He enjoys reading books by the Pulitzer Prize winning historian David McCullough and Robert Cairo. 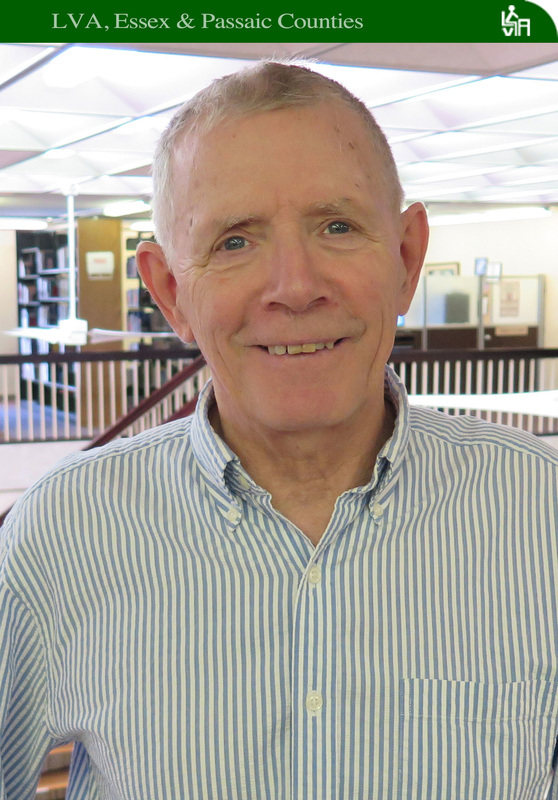 For Larry’s “light” reading, this former history major enjoys James Joyce’s “Ulysses.” Last year, his wife took him to Dublin to celebrate Bloomsday. Most importantly for the LVA community, he brings all of these interests and enthusiasm to enrich the learning experience of his students. Not only does he instruct them in English grammar, speech, etc but he also adds richness to what they are learning—a special gift no matter how you look at it. 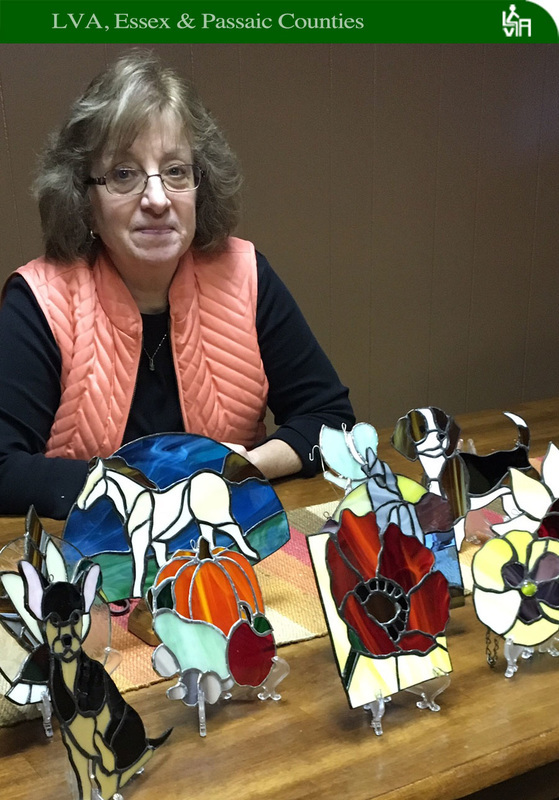 Karen Kirk, Tutor of the Year for Essex County, is not only dedicated as an LVA tutor, but also as a stained glass artist. She tutors two students separately for 16 hours per month, and still finds time to pursue her hobby. Karen has been with LVA since 2011. Prior to joining the LVA family, she taught elementary school in Belleville for 40 years. “I taught generations of students. I had some students come back to me as parents, which was a lot of fun. I also taught along side of young teachers who at one time were my students. I just loved it,” she said. Karen has remained friends with a lot of her students on social media. She recently learned that one of her favorite students just joined the army and will soon be deployed to Iraq. When asked why she left her post after a successful 40 year run, she thought about it and sighed, “I guess I finally got tired of marking papers at night and dealing with bureaucracy. I felt it was time to walk away. There were other things I wanted to do like volunteer for LVA. I had looked into it the year before I retired and realized I didn’t have the time to put into it like I wanted,” Karen said. Karen spends her down time in her home studio creating sun catchers, small lamps and also takes custom orders as well. “People send me photographs of their dogs and I make a replica in glass.” Alongside her glasscutter, copper foil, and soldering iron, Karen keeps a box of Bandaids handy. “I go through at least one Bandaid per day,” she laughed. Pierce Logan is not your typical 22 year-old. He is an entrepreneur, a teacher, a poet, and an LVA tutor. Despite his busy schedule, he finds time to work with his students 24 hours a month. When Pierce is not at the Bloomfield library, one may find him setting up his poetry store in a park in Manhattan or in front of his local Starbucks in South Orange. This novel idea began three years ago. “In October 2013, I got the idea of a poetry store. I first set up shop in Central Park and it has blossomed,” Pierce said. 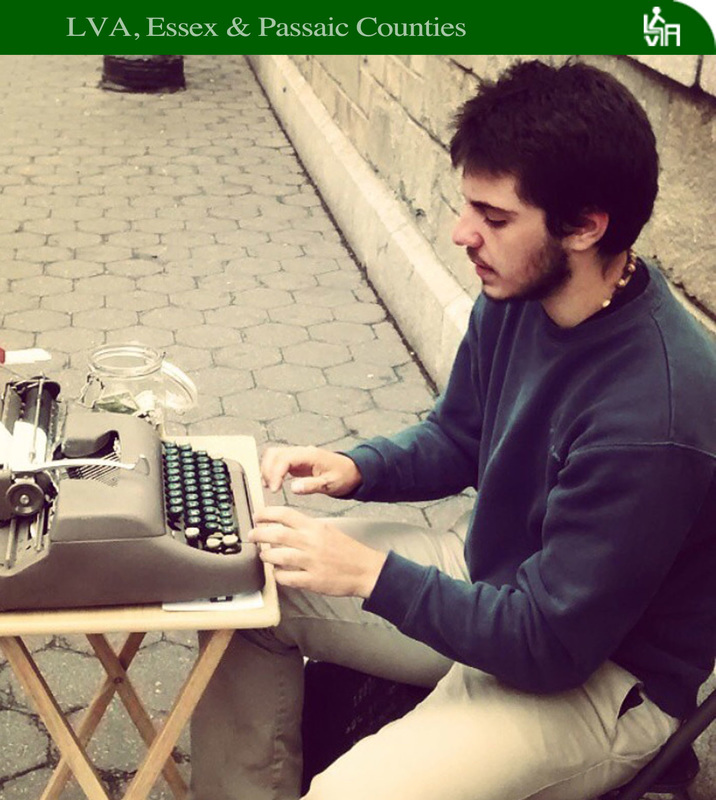 This modern day bard sets up his 1950 Smith-Corona typewriter on a weathered table and takes requests for poems from passersby. Customers choose the topic for their poem. “They tend to request poems about the people they are with, a special occasion, or something very relevant in their lives. It is a very unique interaction,” Pierce said. His satisfied customers walk away with a personalized, autographed poem, and he adds some cash to his donation jar. Pierce’s poetry can be found at his website, qwertpoetry.com. Pierce began his love of the written word in boarding school in rural Vermont. “I learned a lot about myself there,” he said. Pierce was inspired by an English teacher that became interested in him when she found out they shared a mutual love for poetry. Upon graduating from high school, Pierce attended community college with an concentration in international studies. Here, he became interested in other cultures. Growing up, he had a lot of friends from diverse backgrounds and that curiosity prompted him to travel to Brazil and learn Portuguese. Pierce’s initial goal was to teach abroad, but for now he has put that on hold. Tutoring students from diverse backgrounds with LVA has temporarily satisfied that need to visit other countries. He is also a teacher at Cultural Center for Language Studies in Newark. Jacklynn first became an LVA tutor right after 9/11. At the time, she was working full time as a nurse practitioner in community mental health. For 20 years, Jacklynn was employed by Visiting Nurse Services of New York both working directly with the clients and as a supervisor handling crisis services, case management and geriatric programs. Jacklynn brings to tutoring her skills of understanding human dynamics and comfort in interpersonal relationships. This is evidenced by her students’ devotion and dedication. Jacklynn has the unique ability to help people immediately feel at ease in her presence. She stated, “People who are seeking help in literacy are very apprehensive.” She added, “In life, you are blessed if you have a few good friends to talk to.” While always making her students feel comfortable, she is cautious not to let the student/tutor relationship get intertwined. “You have to watch that the lines don’t get too blurry,” Jacklynn said. Jacklynn remains encouraged by the work of the LVA program and is enthused by coming to the Bloomfield Library 3 days a week to tutor her students. 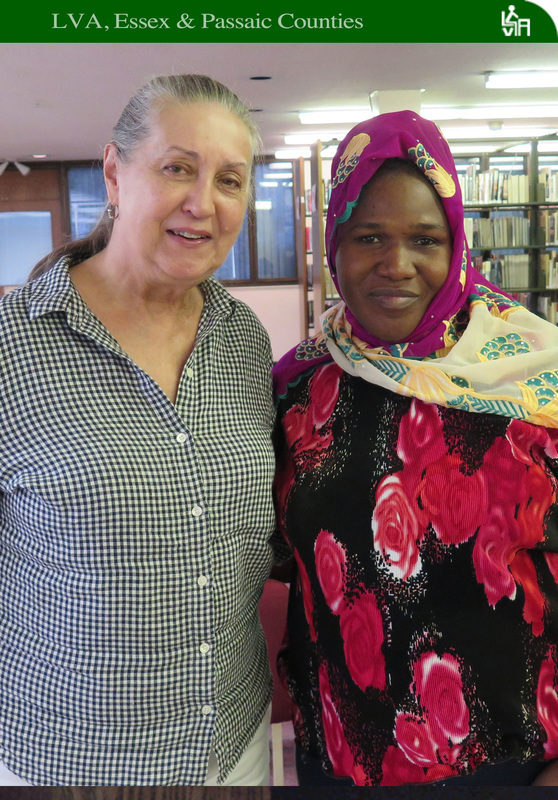 “I see other tutors working with the students in the library and it is very inspiring. People are giving a helping hand despite the negativity the media tends to portray,” Jacklynn said. Rick currently has two very disparate students; one female ESL student and one male Basic Literacy student. Between his two students, Rick’s home away from home is the Bloomfield Library. He is one of those tutors who goes above and beyond and works with his students for 16 hours per month. Hardly a day goes by that Rick does not stop by the office and greet us with his friendly smile. 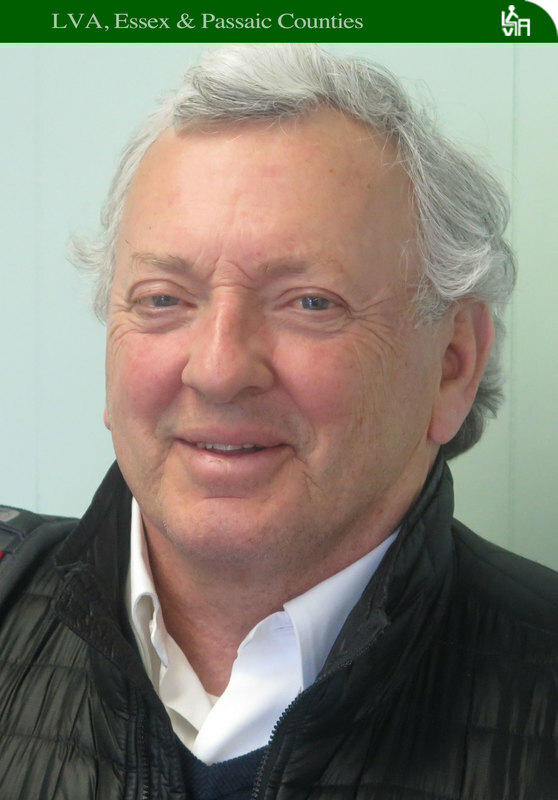 After retiring as the manager of a direct mail company, Rick joined the roster of LVA tutors in 2014. He read an article about upcoming LVA trainings in the Montclair Times. 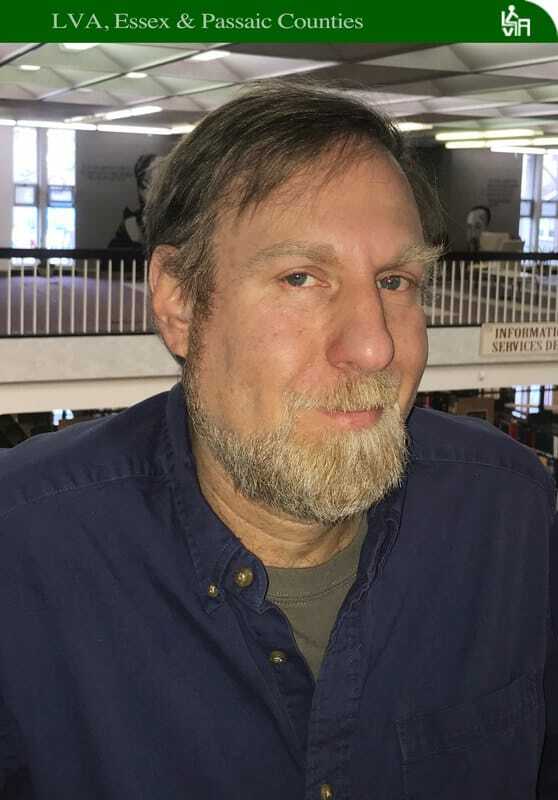 A Montclair resident, Rick lives in walking distance to the Montclair Library, but he chose to tutor in Bloomfield because it is a larger, more diverse community. 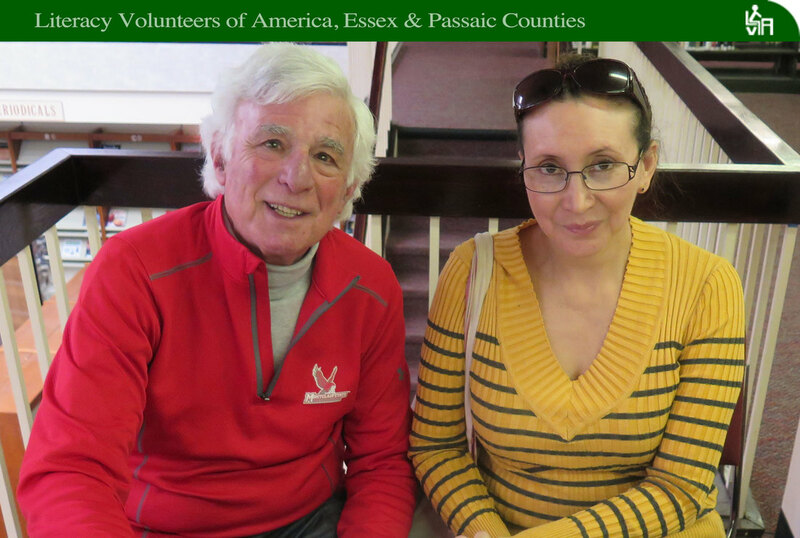 Susan started volunteering with LVA in Passaic in 2006. 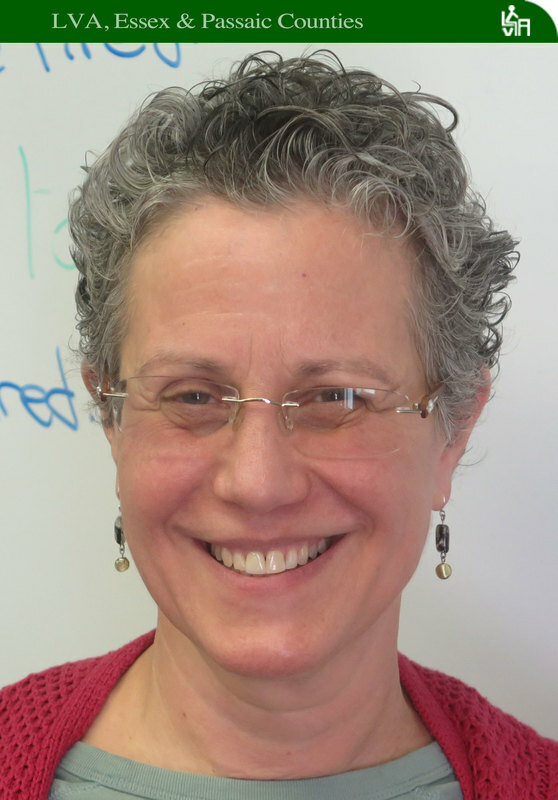 She divided her time between LVA and working at Jewish Vocational Services where she worked as an ESL teacher. She recently retired from JVS and jumped into LVA where she meets a group of students every week, without fail.